Wait! Here's some more news. Our good friend, Stone Wong, sent us these pics he took on a recent trip to the Restaurant. He even got me some of those Batman Figures so I wanna thank him publicly for those as well. The figure is AWESOME! Now, be sure to check out these fun pics. 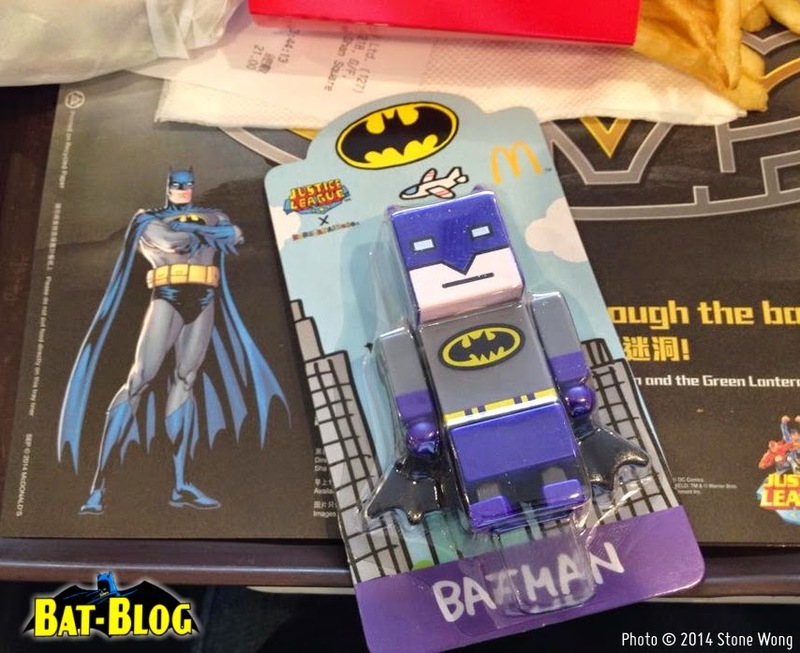 They show some of the McDonald's advertising signs and banners promoting the toys. It looks like you can also buy figures of Wonder Woman, Batman, Superman, Flash, Green Lantern! 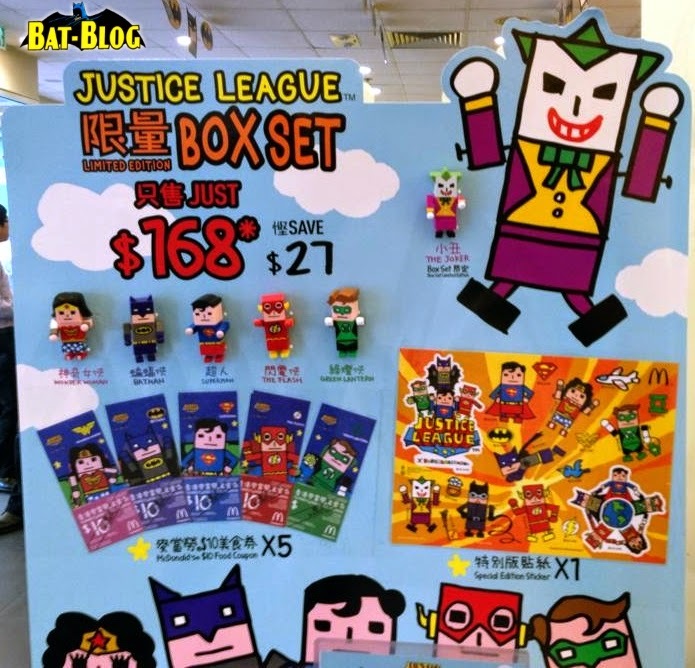 They sell the DC Comics' characters individually and also as a boxed set. 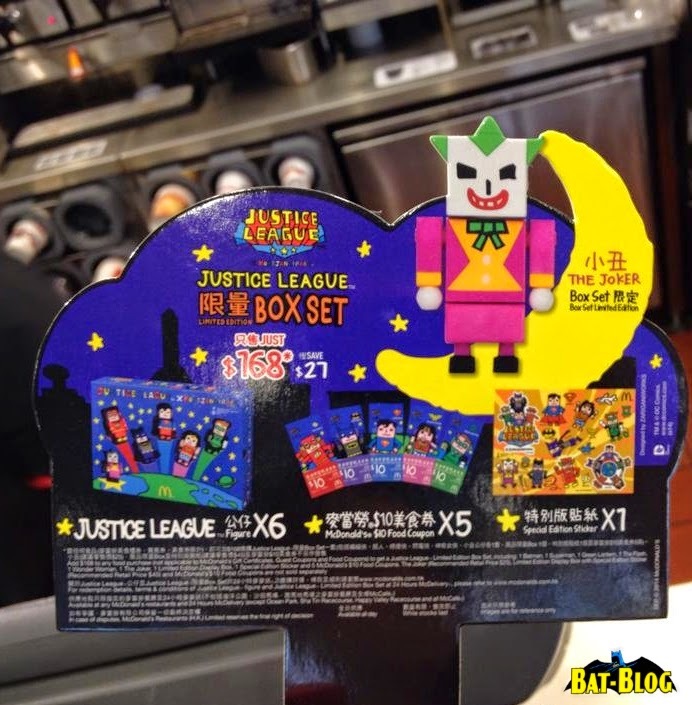 Plus, if you buy the BOX SET, you also get a bonus figure of the JOKER! Oh man, so awesome! Thank you Stone for sharing your photos. This is pretty cool!